New information from FBI files on Marilyn Monroe shed no light on the actress' death but do show how closely the bureau was monitoring Monroe, her activities and her acquaintances. The files, which previously had been heavily redacted, could not be located earlier this year when the Associated Press requested them. They have been found and re-issued, revealing the names of some of the movie star's communist-leaning acquaintances who drew concern from government officials and her own entourage. The files include letters and news clippings showing the bureau was aware of theories the actress had been killed 50 years ago, but they do not show that any effort was undertaken to investigate the claims. 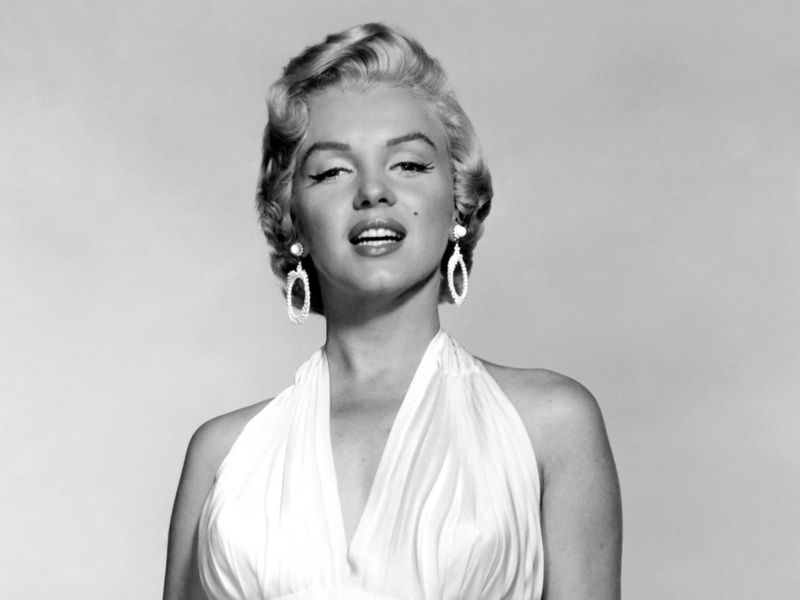 Los Angeles authorities concluded Monroe's Aug. 5, 1962, death was a probable suicide. Recently obtained by The Associated Press through the Freedom of Information Act, the updated FBI files reveal that some in Monroe's inner circle were concerned about her association with Frederick Vanderbilt Field, who was disinherited from his wealthy family over his leftist views. A trip to Mexico earlier that year to shop for furniture brought Monroe in contact with Field, who was living in the country with his wife in self-imposed exile. Informants reported to the FBI that a "mutual infatuation" had developed between Field and the 36-year-old Monroe, which caused concern among some in her inner circle, including her therapist, the files state. "This situation caused considerable dismay among Miss Monroe's entourage and also among the (American Communist Group in Mexico)," the file states. It includes references to an interior decorator who worked with Monroe's analyst, reporting her connection to Field to the doctor. Field's autobiography devotes an entire chapter to Monroe's Mexico trip, "An Indian Summer Interlude." He mentions that he and his wife accompanied Monroe on shopping trips and meals and he only mentions politics once in a passage on their dinnertime conversations. "She talked mostly about herself and some of the people who had been or still were important to her," Field wrote in "From Right to Left." "She told us about her strong feelings for civil rights, for black equality, as well as her admiration for what was being done in China, her anger at red-baiting and McCarthyism and her hatred of (FBI director) J. Edgar Hoover." Under Hoover's watch, the FBI kept tabs on the political and social lives of many celebrities, including Frank Sinatra, Charlie Chaplin and Monroe's ex-husband Arthur Miller. Miller in 1957 was found in contempt of Congress for refusing to name names of a literacy circle suspected of Communist Party affiliations. He and Monroe were married from 1956 to 1961. The bureau has also been involved in numerous investigations about crimes against celebrities, including threats against Elizabeth Taylor, an extortion case involving Clark Gable and more recently, trying to solve who killed rapper Notorious B.I.G. The files have for years intrigued investigators, biographers and conspiracy theorists who don't believe Monroe's death at her Brentwood home was a suicide. That characterization intrigued the man who performed Monroe's autopsy, Dr. Thomas Noguchi. While the DA investigation concluded he conducted a thorough autopsy, Noguchi has conceded that no one will likely ever know all the details of Monroe's death. The FBI files and confidential interviews conducted with the actress' friends that have never been made public might help, he wrote in his 1983 memoir "Coroner." Monroe's file begins in 1955, the year she made "The Seven-Year Itch," with its familiar subway grating scene, and the year after her eight-month marriage to baseball star Joe DiMaggio. It focuses on her travels and associations, searching for signs of leftist views and possible ties to communism. One entry, which previously had been almost completely redacted, concerned intelligence that Monroe and other entertainers sought visas to visit Russia that year.